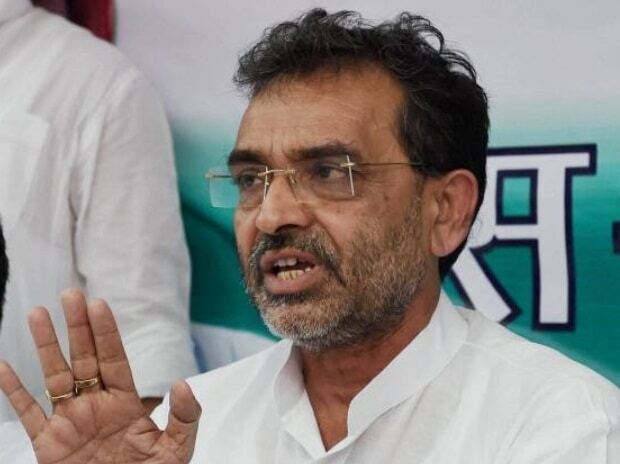 Days after quitting the NDA, Rashtriya Lok Samta Party (RLSP) chief Upendra Kushwaha joined the UPA on Thursday. The announcement of Kushwaha joining the grand alliance of opposition parties in Bihar was made at a press conference at the AICC headquarters here in the presence of senior Congress leader Ahmed Patel, AICC state in-charge Shaktisinh Gohil, Rashtriya Janata Dal leader Tejashwi Yadav and opposition leader Sharad Yadav. Kushwaha's joining the UPA is likely to give a boost to the formation of a grand alliance in Bihar to counter the NDA combine of Bharatiya Janata Party-Janata Dal(U)-Lok Janshakti Party. The Congress, Rashtriya Janata Dal, former Bihar Chief Minister Jitan Ram Manjhi-led Hindustani Awam Morcha (Secular) are already part of the UPA in Bihar and are seeking to give a fight to the National Democratic Alliance (NDA) in the upcoming Lok Sabha polls. The saffron alliance had swept the Lok Sabha elections in 2014, winning 31 of the state's 40 seats.